Our opening week screening of Anchorman will be raising money for Movember. During November each year, Movember is responsible for the sprouting of millions of moustaches around the world. 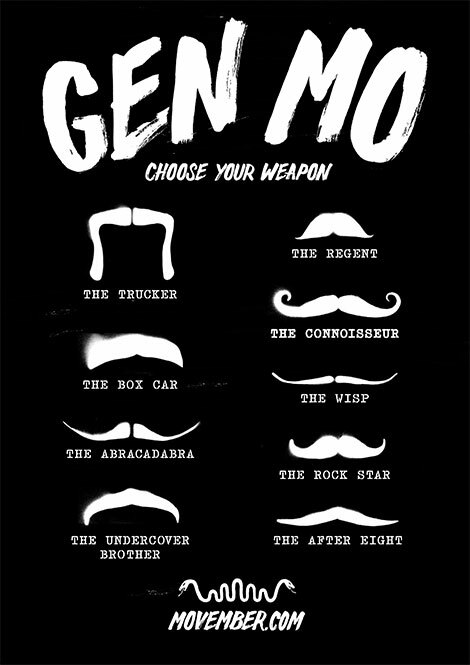 With their “Mo’s” men raise vital funds and awareness for prostate and testicular cancer and mental health. When your purchase your ticket to Anchorman, please add a ‘note to seller’ to let us know you would like to help support us – and we will donate $10 from your ticket to Movember.pendent global charity, Movember’s vision is to have an everlasting impact on the face of men’s health. On the night we will have prizes for the men sporting the best mo’s, and donation buckets to scoop up that parking money in your ash tray. Both Jonno & Brady are taking part in Movember, so feel free to help out with their donation funds. If you haven’t already bought your ticket to Anchorman, click here to grab one now.